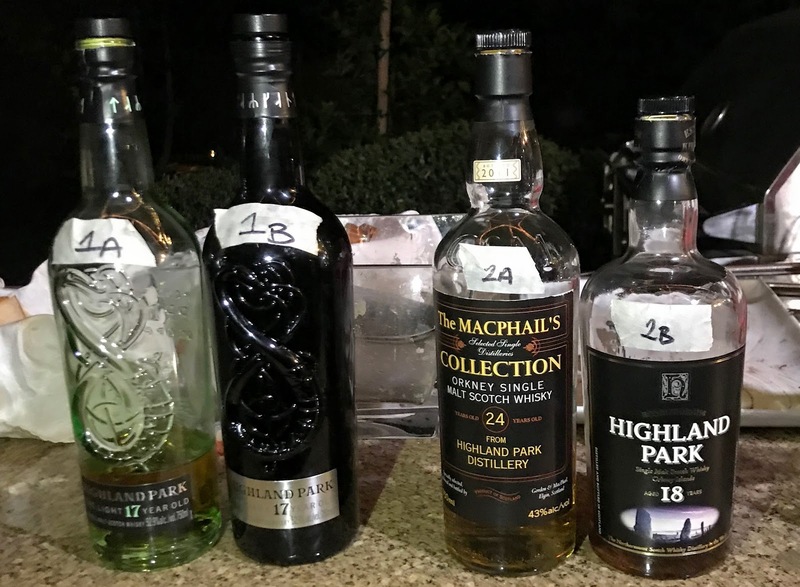 This summer Malt Nuts celebrated the club reaching its 1,000 single malt benchmark in two separate tastings... 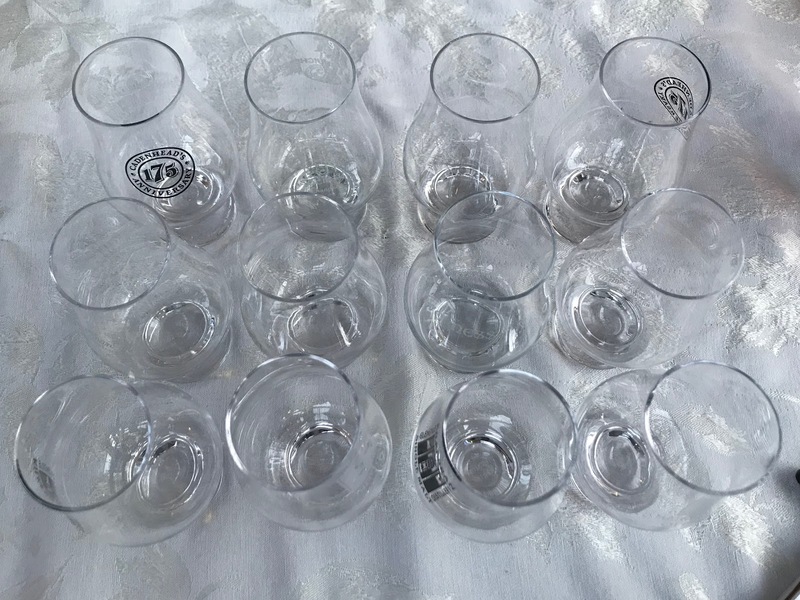 Unfortunately I missed Part 1 in which they tasted bunch of different Ardbeg expressions but could manage to attend Part 2 on Monday, July 2nd. 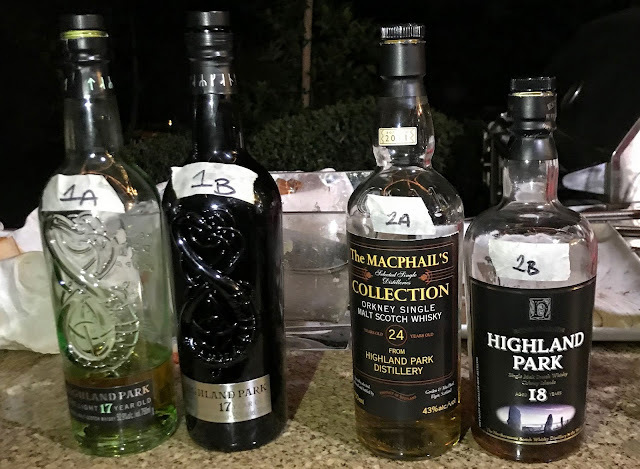 This one was all about different Highland Park bottlings and we ended up tasting 14 different expressions including two late additions to the line-up brought by Highland Park's brand ambassador that evening. Nose: Dry hay, strawberries, pineapples and jonquils. Palate: Yellow grapefruit slices, Concorde pears, fresh mint, straw and rock salt. Finish: Long with white pepper notes. A little bitter. Nose: Prunes, Zante currants, balsamic vinegar and leather upholstery. Palate: Black peppercorns, beef stew and vintage furniture. Fireplace ash and roasted barley. Finish: Long with mold and campfire. Overall: This is a stunner... I never thought that I would prefer a sherry cask aged Highland Park over a bourbon cask aged one but here it is. The Dark is definitely a much more complex and layered release than The Light. They sure knocked it out of the park with this one. Nose: Gummy bears, Altoids wintergreen mints and dried papaya slices. Palate: Fresh spearmint leaves, guava nectar and menthol cigarettes. Finish: Medium with fresh mint leaves. 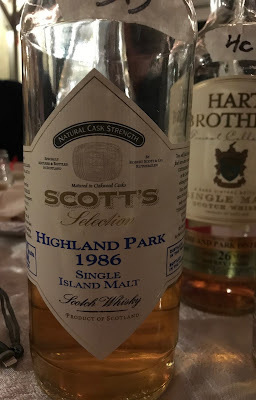 Overall: It is hard to believe that it is a 24 year old whisky. That much time in a cask should add more layers and flavors to the spirit. Nose: Touch of sulphur, black tea, olive oil and BBQ. Palate: Rubber bands and little sulphur. Sweet... Milk chocolate. Finish: Medium with tannins, ash and oak. 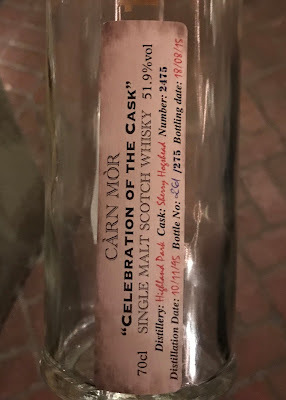 Overall: Quite nice... Less polished and less delicate than the current official 18yo offering from the distillery. Nose: Strawberries, red gummy bears and raspberry jam. Raspberry ice tea. Palate: Sweet... Strawberry jam and cherry coke. Finish: Medium to long with maraschino cherries. Nose: Touch of sulphur, mint drops and club soda. Not too many things to mention here. Finish: Long but mostly with alcohol burn and lemon zest. Overall: I wonder what kind of a cask they used for this. It doesn't make any sense unless the cask was a 3rd or 4th fill... The spirit is incredibly raw and immature. 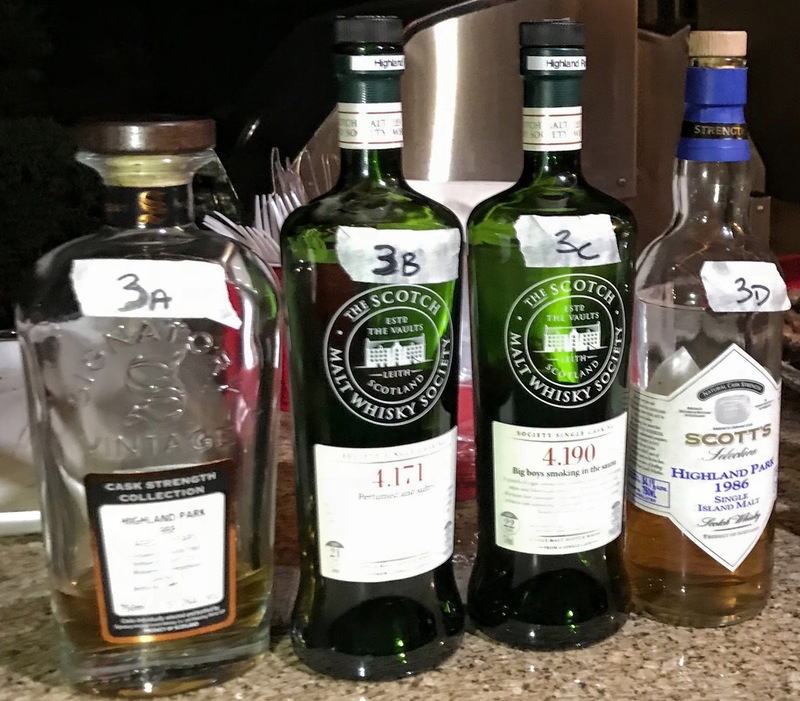 I was shocked at the end to learn that the whisky in the bottle was 21 year old. Nose: Quite mute again... Lemon twist and honey syrup. Palate: Straw, green wood and light caramel. Finish: Long. Bitter, peppery and spirity. 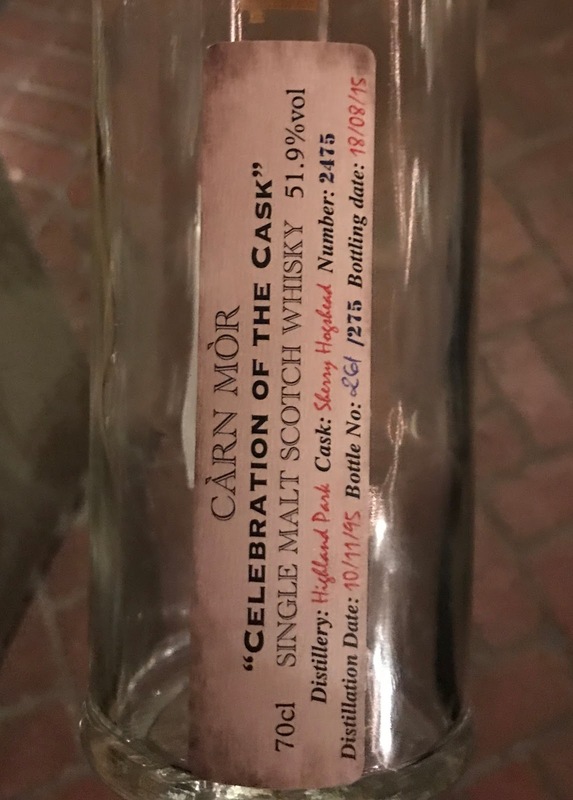 Overall: We realized after the reveal that 4.171 and 4.190 were sister casks but this one is bottled a year after. Again not an enjoyable whisky but definitely better than 4.171. Nose: Bitter greens, dandelion leaves and honeydew slices. 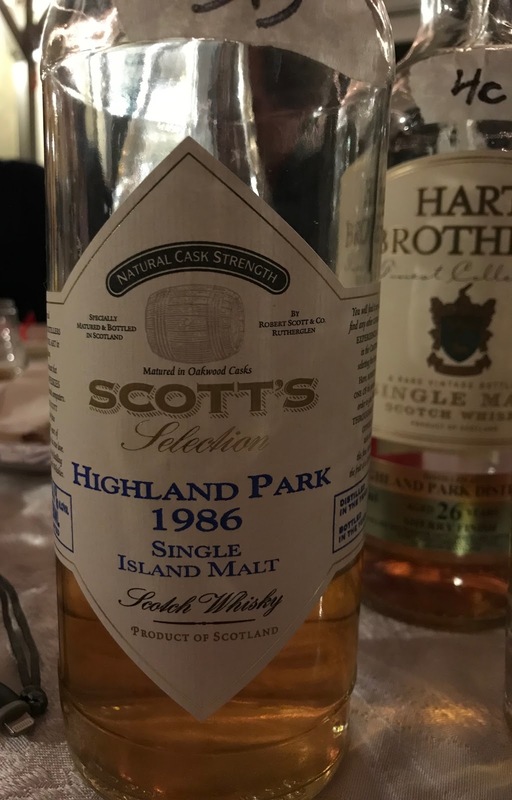 Palate: Peat, ash and caramel drops. 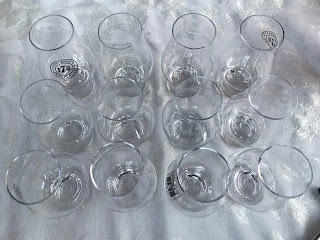 Finish: Long... All the notes on the palate are present till they gently fade out. Overall: At the end of the night this was my favorite expression, great whisky. Grassy, green and peaty with barn and farm notes. Loved it..! Nose: Vanilla, peach ice tea and sunflower seeds. Palate: Peach and apricots. Peat smoke and buckskin. Finish: Long and syrupy with smoke and burnt caramel. Nose: Latex gloves, band aids. Granny Smith apples and soccer ball. 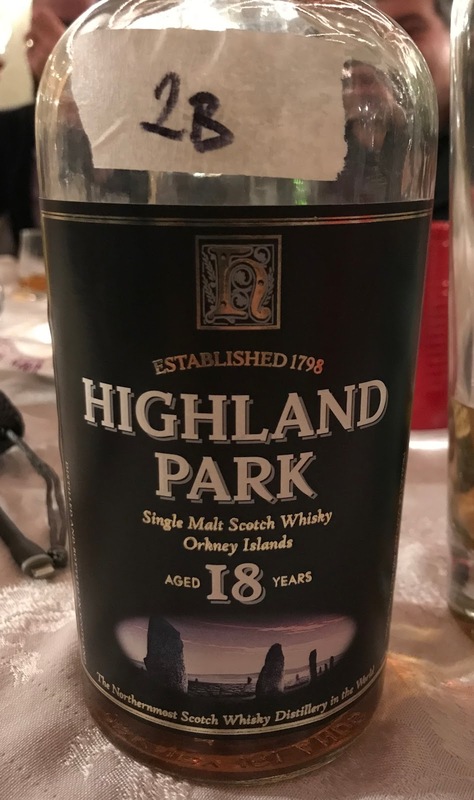 Overall: Lively and energetic despite being a 22 year old whisky. Not spirity or immature but excitingly vibrant. 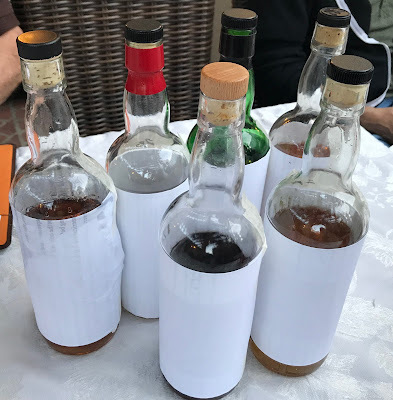 Palate: Sulphur, peat, stewed fruits and leather upholstery. 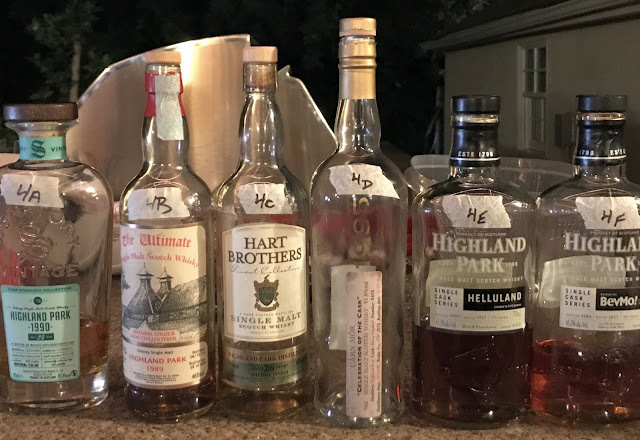 Finish: Long... Sulphur and peat. Nose: Party balloons, gunpowder and peat. Palate: Dark chocolate, peat and nutmeg. Finish: Long with spicy hot chocolate and red pepper. 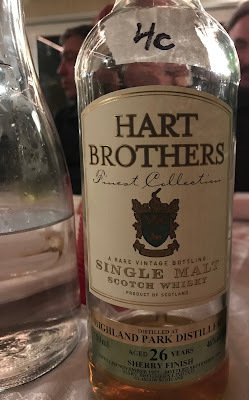 Overall: Not fancy or loaded with extremes but a very balanced whisky nobody can complain about. Nose: Oops... Sulphur all over... Thousand year eggs, new car tires and BBQ smoke. Palate: Lots of sulphur again, ash and beef stew. Finish: Long but I wish it was shorter. Not enjoyable at all... Sulphur and cooked prunes. Finish: Why it is so long..? A long torture of decaying organic matter, city sewage, struck matches and rotten eggs.